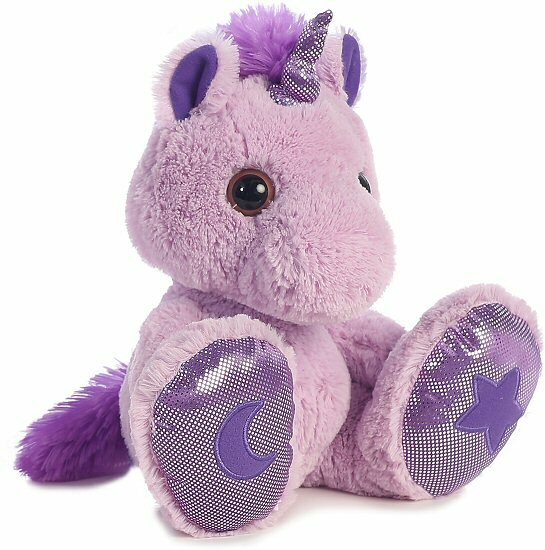 Skywriter, this adorable purple unicorn stuffed animal from the cute and cuddly Taddle Toes collection, has awesome oversized feet with shiny purple and silver bottoms. 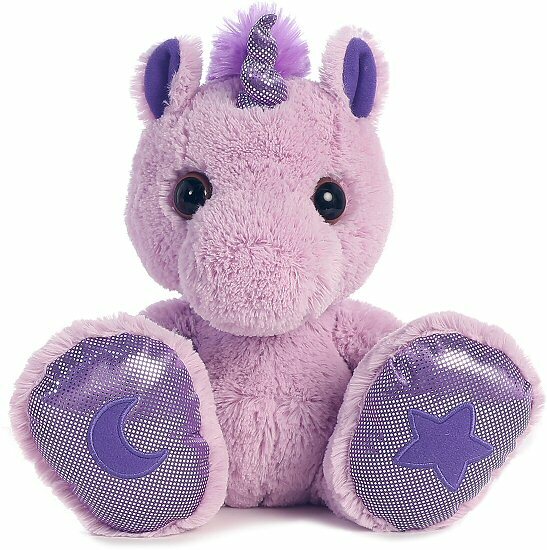 Sporting a purple moon on one foot and a purple star on the other, this sweet plush unicorn has a wonderfully huggable body of soft lavender fur, warm golden-brown eyes, fluffy purple mane and tail, and a magical horn of shiny purple and silver. Ready for hours of imaginative play, this stuffed unicorn is a delightful companion for all kinds of mystical adventures.